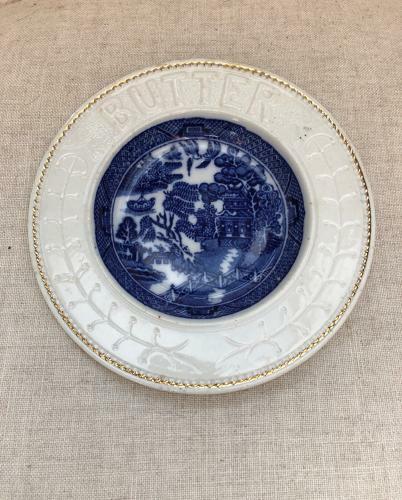 Edwardian Butter Dish. Willow Pattern Centre with White Surround. Wonderful Condition Edwardian BUTTER Dish. Willow pattern centre with white surround.